This low growing bristly shrub has intensely fragrant, reddish pink flowers. 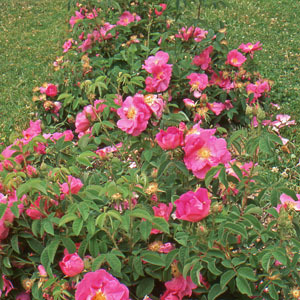 This is the traditional rose used for medicine and perfumery. The large petals dry well for potpourri, but are not recommended for fresh cut or dried flowers. Categories: All Items, all potted plants, medicinal herbs, Potted Plants, More..